This being a Brian Wilson blog, it shouldn’t come as the biggest surprise in the world that the Beach Boys are my #1 musical act. And while I rate Brian Wilson as the single greatest musician of recent times, this post also acknowledges the contribution of Dennis, Carl, Al and even Mike -not to mention Bruce, David, Blondie and Ricky -who all helped keep Brian’s music alive on the charts and on the stage, as well adding their own songs and musicanship to the mix. In making both the most critically acclaimed album ever (Pet Sounds) as well as the most legendary unreleased album (SMiLE) , the Beach Boys moved well past the early surf and turf days to become leaders in making pop and rock meaningful. While the turmoil of 1967 pulled them away from the top of the charts, they continued to make meaningful music as a group, right up until the 2012 reunion album. In addition, there is the extensive solo canon of Brian, the underrated but powerful music of Dennis, and some wonderful solo songs from Carl. Add to this the productions of Brian for outside artists and one has a huge legacy of wonderful music linked to the Beach Boys. You’ve probably heard of the Beatles. You probably like them a lot, unless you are one of the very perverse people who say they are overrated. A group that split up almost fifty years ago, and effectively had seven years of record-making still manages to influence, make headlines (e.g. Quincy Jones) and get their music played over the world. The strength of the Beatles was having three strong and often complementary songwriters, a great drummer and a lot of personality. The great music didn’t end in 1970 either -all four Beatles had their solo moments and All Things Must Pass, in particular shows how creative George had become in the later Beatles years. So for fifty-plus years of history and great music, the Beatles are my #2. There may be some contrast from my #4 to my #3, but like Dylan, Burt Bacharach is an American icon who has transcended many eras and changes in musical taste. As someone who has written songs covered by both my #1 and #2 (who you may have guessed by now), Bacharach is best-known as a writer of soaring, emotional melodies. Walk On By, Don’t Make Me Over, The Look Of Love, I Say A Little Prayer For You…that’s not even scratching the surface of a massive oeuvre of perfect pop. The Bacharach legend has a huge supporting cast of co-writers and singers, with special mention of lyricist Hal David and singer Dionne Warwick. But as Bacharach prepares to celebrates his 90th birthday, he stands alone as one of the musical greats of any genre and time period. My number #4 is an early love of mine; someone who was a leading influence on music and culture before I was born, and is as famous in 2018 as ever. Bob Dylan may be more a man of words than a man of melody, but his singing and musicality of many of his songs is often overlooked, in the light of his world-changing lyrics. For me, Blood On The Tracks remains his best work, but there is quality from his early folk days to his recent works as an elder statesman of folk, rock and roll. 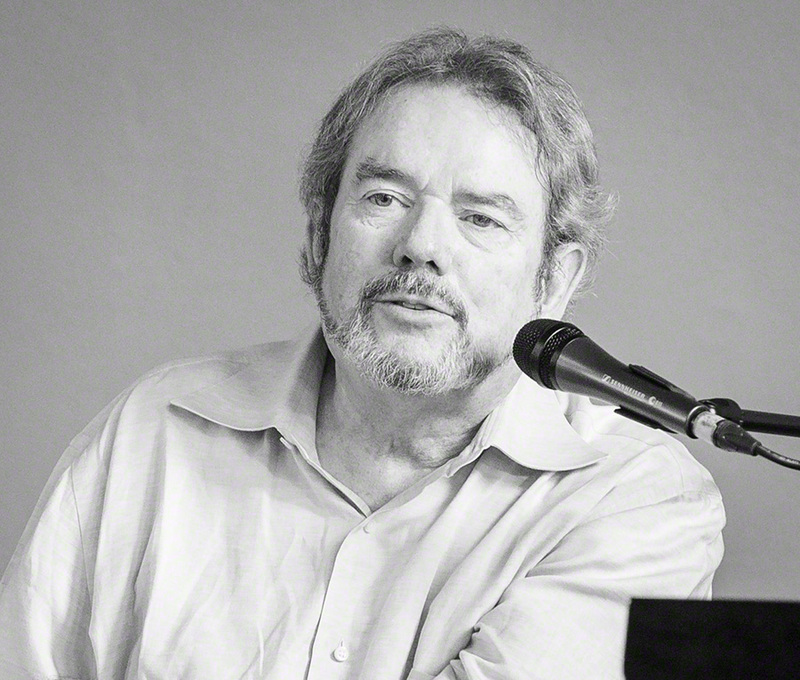 Onto my top 5 – and at number five is one of the very few people who can write both brilliant melodies and resonant lyrics- Jimmy Webb. Much of Jimmy Webb’s best music has been donated to others -including entire brilliant albums such as the 5th Dimensions Magic Garden and the two Richard Harris albums that he wrote and produced. Of course, there’s Wichita Lineman, All I Know, and the yard goes on forever. Before we look at the next 10 of my favorites, it is appropriate to mourn another loss in the rock world. Jim Rodford, who had close associations with the Zombies and Kinks, as well as many other bands, passed away yesterday. 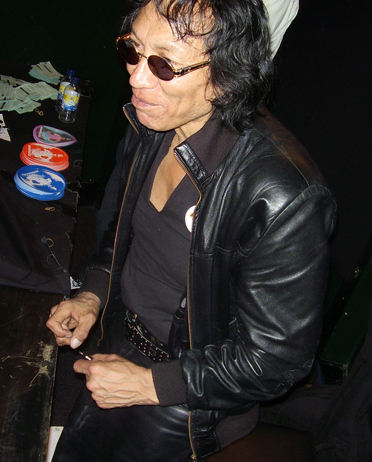 He was in the touring version of the Zombies that I was lucky enough to see in 2012. Here are my artists ranked 11-20 . I haven’t done any ranking within the bands of 10. A reminder that this list is very personal, and exclusion, or lower ranking of an artist does not imply that I am conclusively saying they are not as good as my topped ranked musicians. It’s just about the music that works for me. Simon And Garfunkel: An early favorite of mine -although the duo had only five proper albums, there is also plenty of great solo music from both of them. Byrds: A hugely influential band, with Gene Clark, David Crosby, Roger McGuinn, Chris Hillman and Gram Parsons all playing important roles in the development of pop, folk, rock and country. Lucky Soul: One of the best “newer” bands around; was great to have them release new music last year after a bit of a break. REM: Had some of their music before they became huge. They made some consistently good albums over more than 30 years. Dexys: They have only releases five proper albums in over 35 years but these have contained some wonderful, emotionally-laden music. Explorers Club: Another of my top “new” bands -they have released three consistently brilliant records. Pernice Brothers: Joe Pernice has made a lot of thoughtful alternative pop records since 1991. Association: One of the prime Sunshine Pop bands. Cherish was an early favorite, but there is a lot more to them. Swan Dive: Bill de Main may not be a household name, but he is a top songwriter. Belle And Sebastian: There are a few Scottish groups in my lists, but these are the top of my Scottish pops. Before looking at my next 10 favorite musical artists, here is a link to a touching story about Brian Wilson’s school righting a wrong from 60 years ago. So here are my artists ranked 21-30 . I haven’t done any ranking within the bands of 10. A reminder that this list is very personal, and exclusion, or lower ranking of an artist does not imply that I am conclusively saying they are not as good as my topped ranked musicians. It’s just about the music that works for me. Innocence Mission: Lovely mostly acoustic music from a husband and wife duo. Free Design: Sunshine pop group who are quite obscure, but made a comeback in popularity in 2000s. Hollies: Known for their 60s British pop, also responsible for one-third of Crosby, Stills and Nash. October Project: Best known for their two 1990s albums, but are still around in various combinations and solo work. Housemartins/Beautiful South: Paul Heaton’s two groups have been responsible for great British pop since the mid-80s. Bee Gees: One of my first loves as I grew up in the Saturday Night Fever era. Their early music was my first real introduction to great 60s music. Neko Case: Alternative country superstar who has made consistently good music since the 90s. Fifth Dimension: One of the few on my list who are performers rather than songwriters, but are here for their great interpretation of Bacharach, Webb and other great writers. High Llamas: First band I really got into based on internet discussions. Kacey Musgraves: Became aware of her after her collaboration with Brian Wilson, but now rate her one of the best current songwriters. As we remember Dolores o’Riordan and mourn her untimely passing, it’s time to look at the next 10 of my favorite artists. A reminder that this list is very personal, and exclusion, or lower ranking of an artist does not imply that I am conclusively saying they are not as good as my topped ranked musicians. It’s just about the music that works for me. Swing Out Sister: Duo (for most of their career) who have been making great music since the 80s. Love: I had the fortune to see Arthur Lee live a few years before he passed. A lot of their greatness is around the Forever Changes album, but there is a lot more to them. David Bowie: More than just the chameleon of rock, Bowie pioneered and popularized many different genres. Deacon Blue: Scottish group who have been making great rock/pop for over 30 years. Magic Numbers: English group who have some Brian Wilson influence. Orpheus: Lesser known sunshine pop with an edge -their first album is a personal favorite. Wondermints: Should be given great credit for their role in Brian Wilson’s revival, but have enough of their own brilliant music to justify my ranking here. Roger Nichols: You may pick up, as you go through these lists, that I favor songwriters more than interpreters, all other things being equal. Nichols has some of his own music, but is better known as a songwriter (We’ve Only Just Begun his best known). Elvis Costello: Elvis started in the punk era but has made music in a number of genres, anchored in great pop songwriting. A Girl Called Eddy: Erin Moran only has one full record, but based on this, and a few other odds and ends, is up there with my favorites. I hope there will be another album soon. In honor of my recent “golden” birthday, I thought I would do some blogposts listing my 50 favorite musicians. My rankings are based semi-scientifically on the number of songs from each artist that I regard as a real favorite, but I have used some judgment in coming up with my top 50. I’ve also used the widest definition of the music of a particular band so if I include the Beatles, it would include all their solo music as well i.e. I won’t list each Beatle. Clearly, this list is very personal, and exclusion, or lower ranking of an artist does not imply that I am conclusively saying they are not as good as my topped ranked musicians. It’s just about the music that works for me. Lloyd Cole: Scottish singer who became a favorite with his Commotions while I was still at high school. Waterboys: Another Scottish band that I got to know during high school. Rolling Stones: Probably lower than many people will have them, but this is a strong list! Van Morrison: Another artist who has been on my playlists for many years. Zombies: Underrated and intelligent band who I am very glad to have seen perform live. Crowded House: Neil Finn is a top songwriter. Also glad to have seen them live. Roy Orbison: From the original school of rock and roll, the Caruso of rock was an early pioneer. Marvin Gaye: What’s Going On? is still as relevant in 2017, Symphony was our wedding dance.